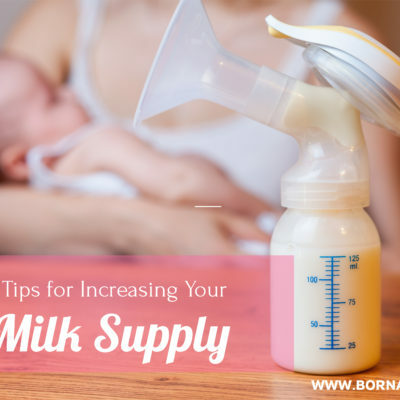 If you have to ask if your infant has colic, then the answer is no. No truer words have ever been said. Living with a colicky infant is a life altering experience. It rains havoc on the entire family system. It is hard to imagine how one little baby can cause so much dysfunction… until you have lived it. My first-born was a colicky baby. He fit the mold perfectly. He was a lovely thriving baby boy until he was about three weeks old when he got progressively more and more fussy. Eventually he progressed into full fledge screaming episodes several times a day escalating primarily in the evening. Then at around 4 months old, it passed. When I returned to work, I recounted my tales to a fellow coworker who also had a colicky infant. When she recounted her experience, she spoke of dysfunction on a different scale than I had experienced. She told me that her husband took months to bond with her son and described nights where both of them sat crying at the foot of their infant’s crib totally helpless to soothe their raging baby. After caring for her son through this phase of his life, she confided she understood why we show parents the Shaken Baby Syndrome video in the hospital. I was shocked. Naively, I brushed aside her account as dramatic. After all, I had survived a colicky infant and it was nowhere near as devastating as she recounted. Two years later, as I stood holding my own thrashing infant in my arms her words came back to me. This is what she had been talking about. My daughter was a colicky infant on par with the experience she described. As most people who have not lived through an infant that literally cries all the time, I underestimated the strain it causes. My son may have had classic infant colic, but my daughter had colic of seismic proportions. While many of the symptoms mirrored my son’s experience, the intensity dwarfed my prior understanding of the word. When I returned to work, I sought my friend out to apologize. I had judged her and minimized her experience. I had been a crappy know-it-all friend who hadn’t empathized with her one bit. I understood how utterly impotent it feels to be unable to comfort your baby. I understood how mentally and physically exhausting it is to care for a baby who has unmeetable needs. 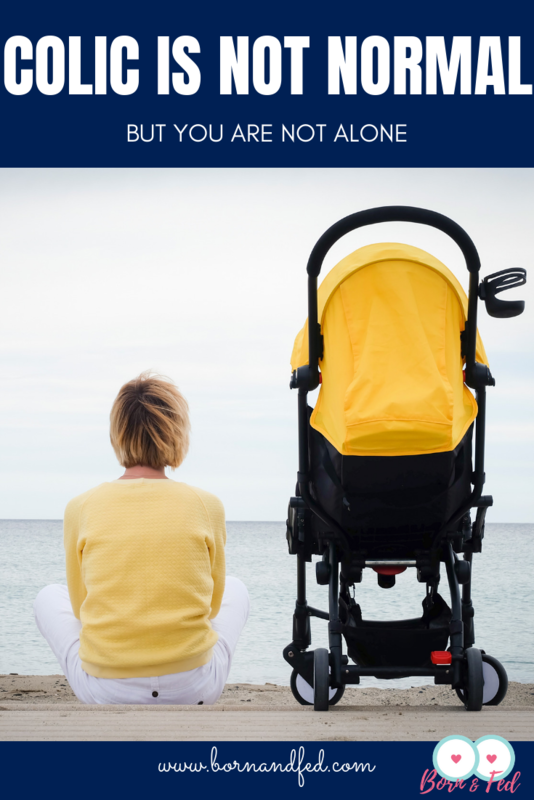 It rips you up at the core of your being when your baby is in pain you are unable to fix it. Now I understood how it strains a marriage when your home is flooded with screams. I understood how desperately lonely it feels to be clutching a howling baby at 1 am with no help in site. 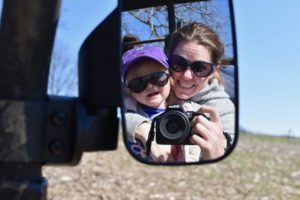 I understood what if feels like to be blown off by doctors, friends, and even other mothers as they minimized my experience. This is why I hate the term colic. It is so vague and generalized a term it gives no context for the severity of the symptoms. Because we do not have any definition for the term, it remains elusive and vaguely pedestrian. “Oh, your baby cries a lot? Well that’s normal.” This is what these mothers hear. They hear it from their friends, their family, and even from their doctors. So they are left with their squalling infant wondering if the problem is them. Fears fester leaving these parents feeling even more isolated than before. I remember one father asking me if I thought the problem was me. People still want to think you are exaggerating. And I get it. I was someone who placated a struggling friend once too. It is infuriating that these mothers are left without any lifeline. They must simply bear it. “It will pass,” is the only comfort they receive. And it does…eventually. For some it passes in 3-4 months, for others it is 6-9, for many it is over a year. That is a long, long time to carry such a burden. Then there is the baby to consider. This baby who cries for hours at a time is missing out on so much. 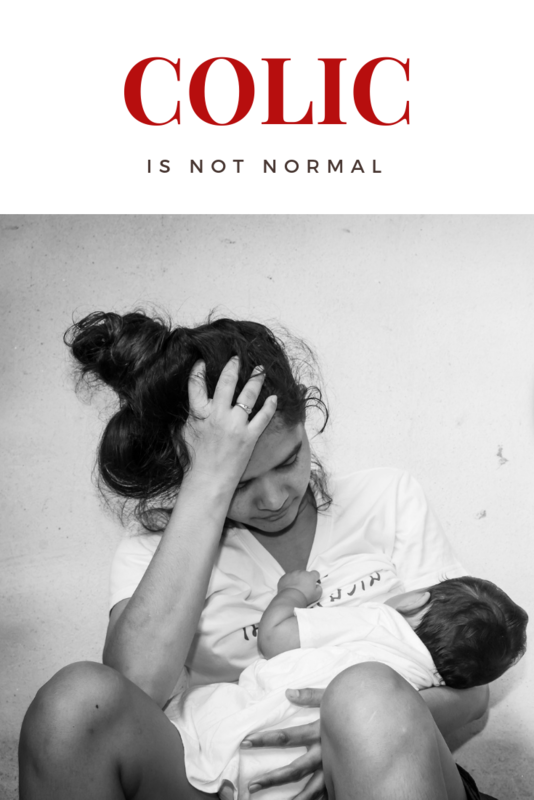 How can we really say this is normal? Moms with colicky infants, the change starts with you. You have to be a voice loud enough to be heard. You are the only person who will advocate for your baby. That mother’s intuition maybe new and uncertain, but it has guided women for millennia and it’s Darwinian muscle is strong in you. 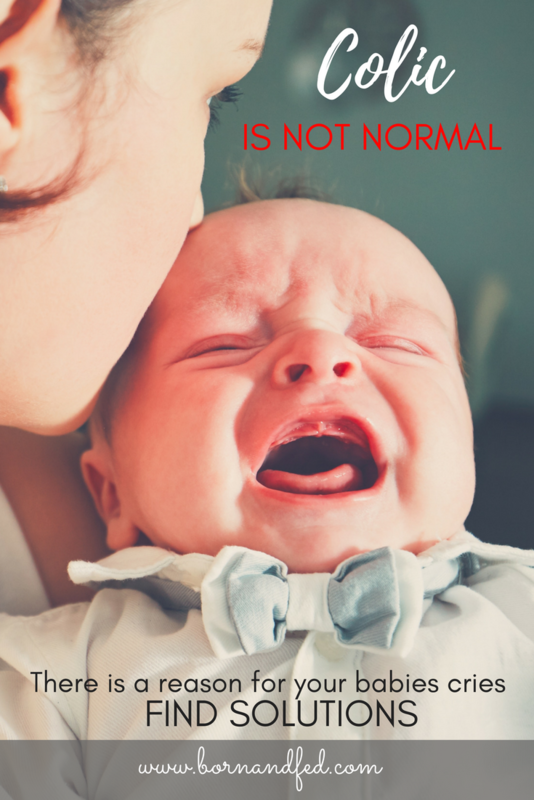 If you think there is something wrong with your baby, keep telling doctors until you find one who will listen. Educate yourself. There are other mothers who have lived through this who will be your guide. You want a doctor who hears you and asks questions to find a REASON for your baby’s cries. 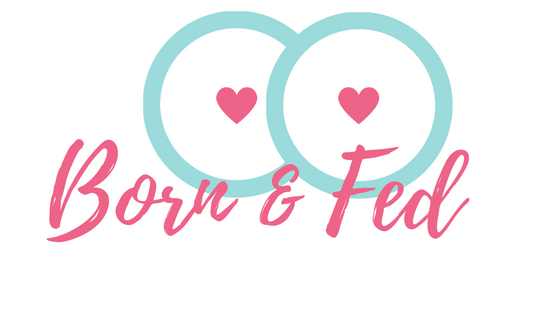 Does your baby have a food allergy or intolerance? Are your baby’s stools bloody or mucous filled? Is your baby vomiting excessively? 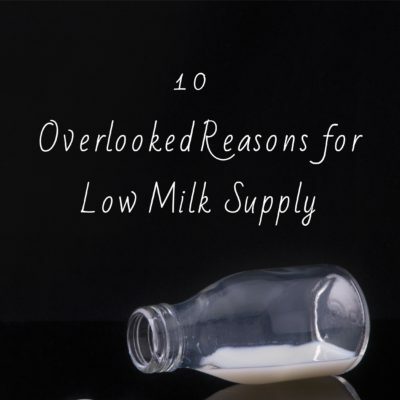 Do you think you have low milk supply? These mothers need answers, not platitudes. These mothers need support from other mothers who have walked a mile in their shoes. They need screening for postpartum depression. They need someone to take them seriously. 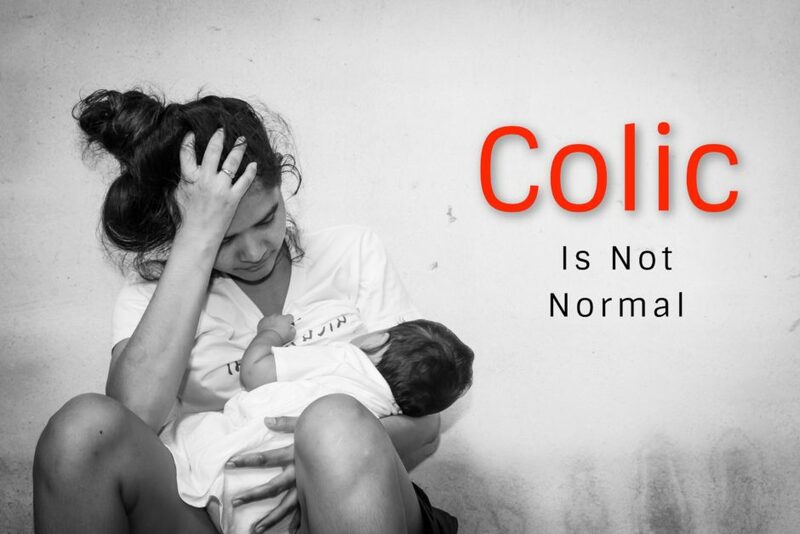 Colic is not a diagnosis. Isn’t about time we started looking for one?